‍Last updated February 27, 2017. Please visit the official site for the most up-to-date information. Vanderbilt Industries added access control to it’s growing stock of security products by acquiring Siemens’ security division in 2014. The access control system is known as ‘Bright Blue’ and integrates nicely with Vanderbilt proprietary readers, credentials, video management system, and security management systems. The system is centrally controlled by a door and reader controller that connects to the internet via Ethernet cable. 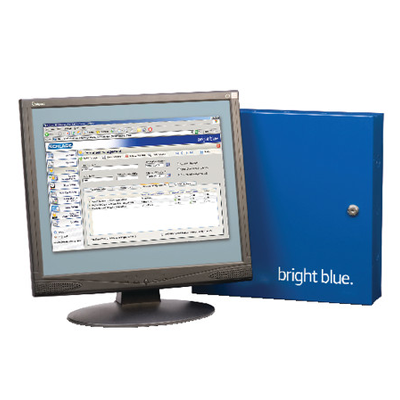 Vanderbilt provides two version of the access control system: bright blue and lite blue. Lite blue is an OP-based reader interface meaning that while the doors are connected locally, the readers communicate with the lite blue software through the cloud. Lite blue can connect 2-8 doors and controller credentials for up to 5000 cardholders. The bright blue system can control up to 32 doors, but aside from that has the same features as lite. With both systems, the management portal can be accessed remotely from the web-browser. Vanderbilt offers a nice all-in-one security system complete with video, access control, and facility lockdown. The downfalls include poor product support, inability to send firmware upgrades OTA, and no mobile or biometric access credential.